Thank you for your interest in the New-York Historical Society. 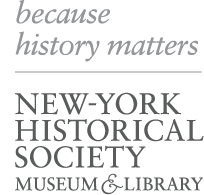 Individuals interested in employment at the New-York Historical Society should check this page frequently for updated listings. Fax us your resume at (212) 877-6336 or e-mail it to resumes@nyhistory.org, attn: Human Resources. To learn more about internship opportunities, please click here. To learn more about fellowship opportunities, please click here.